Nick gains valuable real world experience. 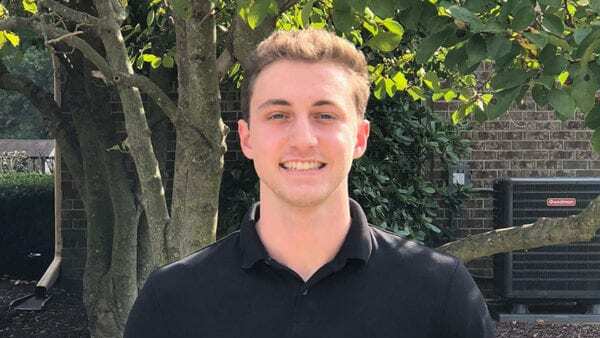 When Nick Reganata joined Real Projectives® as a co-op student though Drexel University six months ago, he had no prior knowledge of real estate or construction management fields and had only one year of mechanical engineering education under his belt. Yet he jumped right in with enthusiasm. While working, he learned to read many types of documents, perform research and apply critical thinking, becoming a valuable team player. He participated in conference calls and meetings while also visiting construction sites. As he grew in professionalism and developed skills and familiarity with our business, we tasked him with creating abstracts, comparing costs and schedules, and handling side projects on his own like qualifying timber frame suppliers and exploring how augmented reality could help our business and clients. He did a great job. In talking to Nick, he described his co-op experience in this manner: “Besides all the knowledge and hands on experience I’ve gained in the construction management field, Real Projectives has shown me the value of team work. To be bluntly cliché about it, 2 minds are better than one, but 13 can really move some weight.” We couldn’t agree more. Thank you, Nick. While we hope to remain in touch, we wish you the best with completing college and for a life of many successes and happiness! Project Management Systems: Should You Buy or Build? Please use the form provided on our contact page and we will respond within 24 hours or call us directly on 888.357.7342 to discuss your needs.